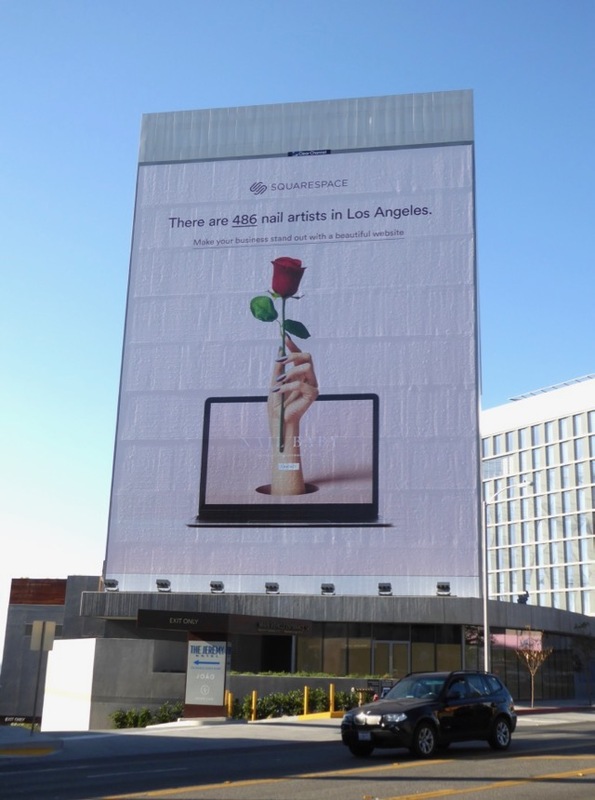 How do you make something techy like building a website interesting and convey it on a billboard? This is how. 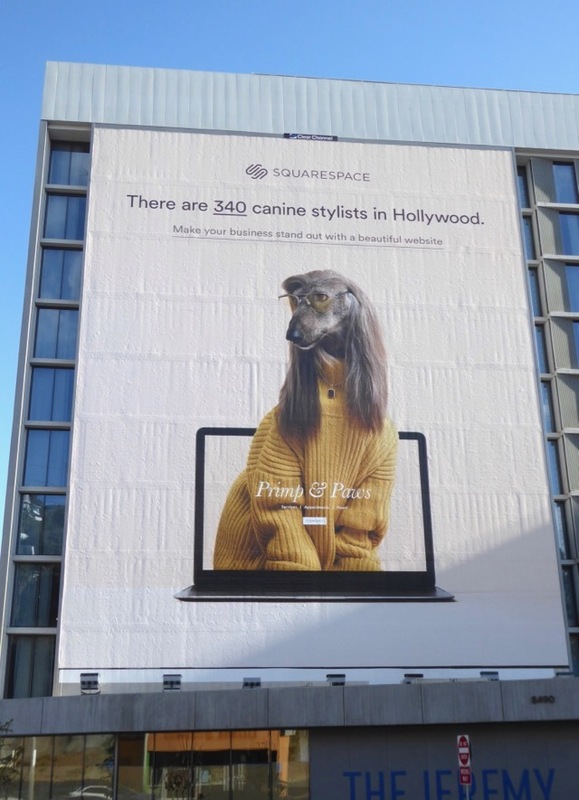 These 'Canine stylists' and 'Nail artists' ad creatives from SquareSpace are fun and they really do cut through the clutter in the city skyline (although it always helps to buy some super-sized billboard sites to get your message across). 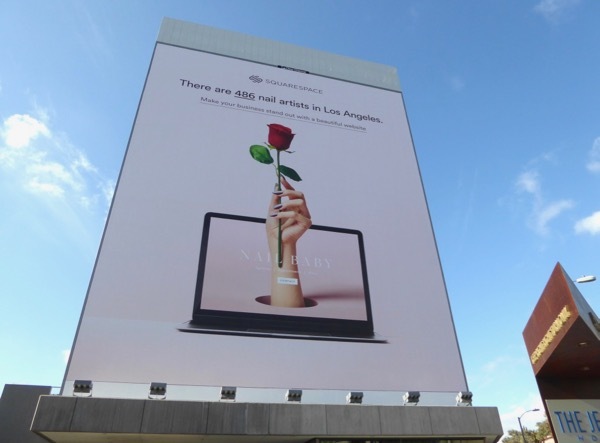 The visually arresting giant-sized billboards were snapped along West Hollywood's Sunset Strip on November 1, whilst the smaller ad version was photographed on the side of the Whisky A Go-Go club on October 14, 2017. 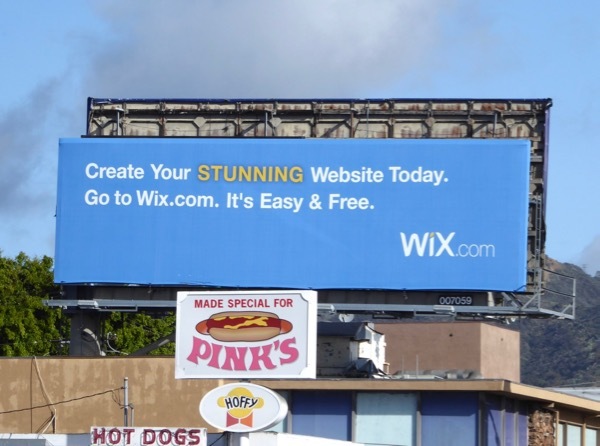 Meanwhile as a comparison here's also a different approach to advertising website design from Wix, which was spotted along La Brea Avenue on March 6, 2016, which we think you'll agree is far duller and less engaging for passersby. 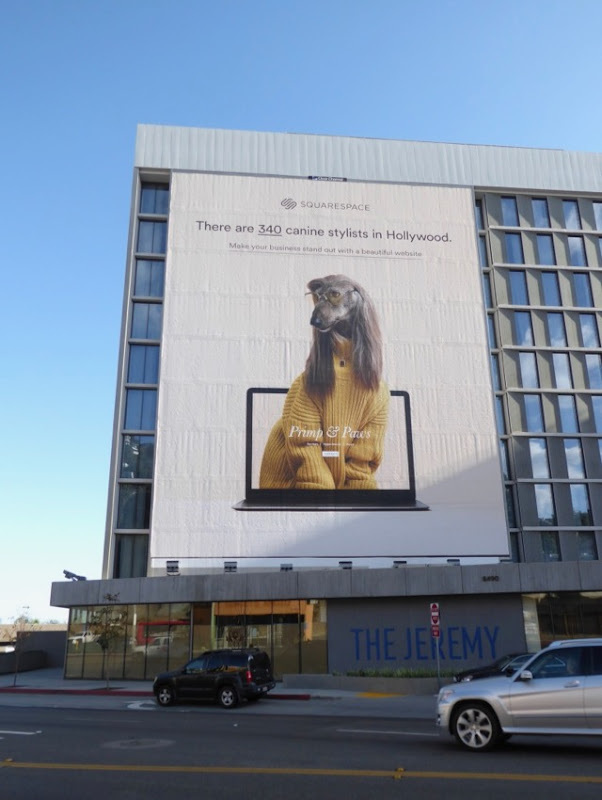 For more clever design solutions to tricky subject matter in outdoor advertising be sure to also check out these Move Loot billboards, these illustrated Casper mattress billboards and these radio station billboards. 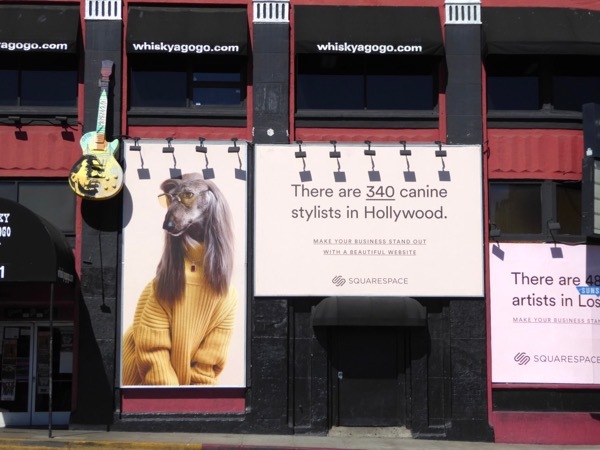 Enjoy your Sunday, whether you're building a website, giving your pet a style makeover or relaxing with a mani-pedi this weekend.